Admittedly, I didn’t know what “service design” was a couple months ago (although arguably it has been around my entire life). Until recently service design lacked an agreed upon name or consensus. Service design, most simply, is a hybrid human activity composed of a blending of diverse industries and fields. Given this, there is no simple and clean definition of the term. If you were to ask forty different people what they think service design is and what the future of it might be, you will get forty different responses, albeit with some degree of overlap. As you can probably guess, the main place of overlap is the belief that design ought to be “human-centric.” I would argue, however, that design (in all its forms) has the capacity to be profoundly harmful unless its definition also always incorporates a sense of criticality. 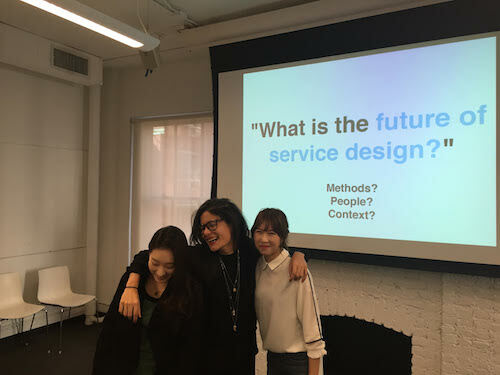 At the recent Global Service Design Conference, held at Parsons The New School for Design, my team and I asked numerous participants what they believed was the future of service design. At the end, we compiled these insightful and often playful perspectives into a simple 6-minute podcast. What follows is a short list of ten things I learned during the conference. 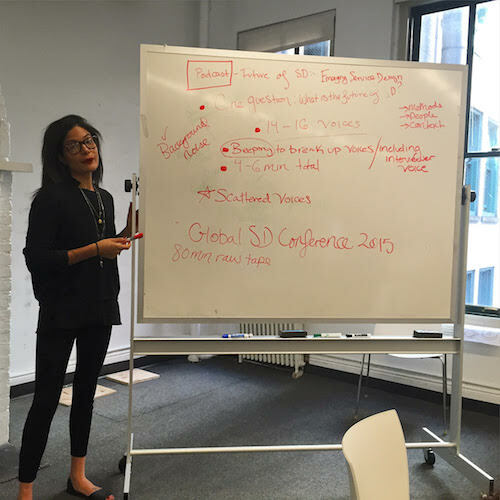 Service design is an evolving field that includes professionals from numerous industries and backgrounds, from design ethnographers to CBOs to educators. There is no one definition or common language to explain this nascent field. However, the practice of “design thinking” is inextricably linked to the practice. Similar to the field of Design Studies, emerging service design is a malleable discourse. Service design, at its core, is about both the user and their experience with a designed service; this can be anything from a healthcare service to a cafe blueprint. It is an integrative and trans-disciplinary field. Service design has given rise to new business models, many of which take the notion of empathy and social design into consideration. Service design works to ensure that services are intuitive, desirable, user-friendly, and effective. The future of service design is unknown, however, many who have incorporated the practice and its methodologies into their work believe that one day it will dissolve entirely and simply become an assumed part of how people conduct business and also, approach design. Service design is an iterative process more than an outcome.